Changing climates, forced migration, engineered species. These are the themes of All the Natives Are Foreigners. 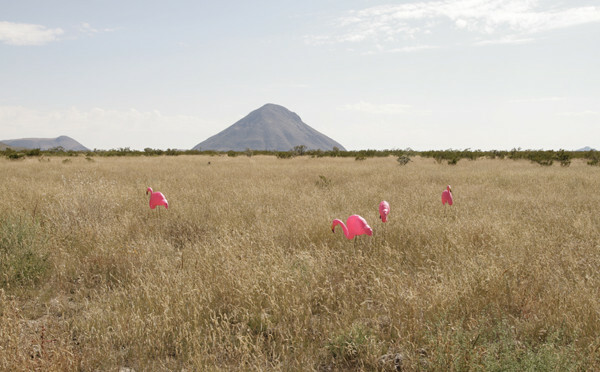 A flock of plastic flamingoes, the icon of post-war American lawns, have migrated to a new climate after environmental changes forced them out of their tropical homes. 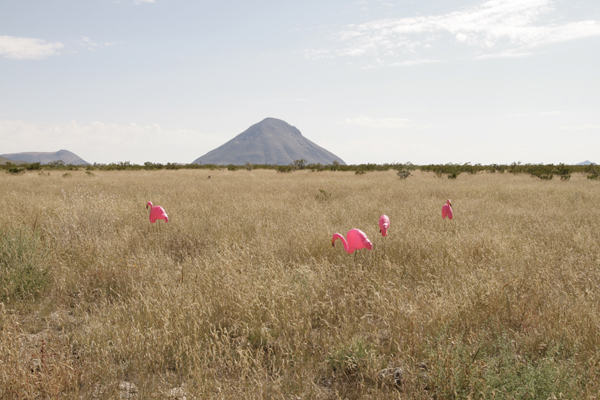 The birds are out of place in this post-natural scenario, facing unidentified threats.